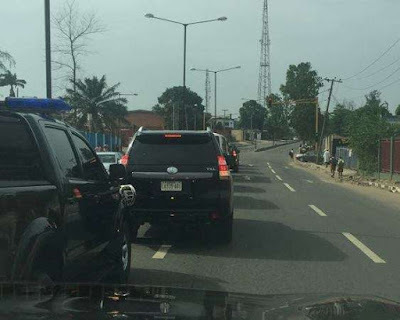 The convoy of the Lagos State governor, Mr. Akinwumi Ambode fortunately saved several motorists from being attacked by a gang of armed robbers, who struck at Long Bridge on Lagos-Ibadan Expressway. The incident whichtook placelast Thursday at about8 pm was said to have beencarried outby armed robbers who were dressedas Police officers. According to an eyewitness, the notorious robbers had blocked the expressway forcing motorists to stop which gave them the opportunity to carry out their dangerous act of robbing innocent motorists. However, luck ran out on the robbers when the convoy ofGov. Ambode, was returning from Osun State where Ambode had attended the President Buharis visit, realized that the police officers were fake and were in fact robbing people. 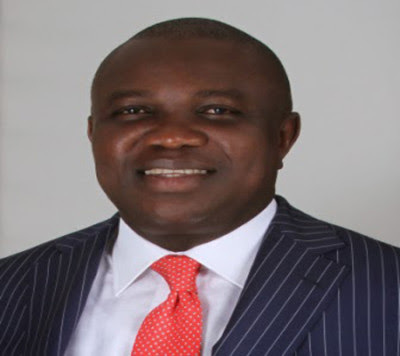 The Governor's entourageengaged the robbers in agun fight. A source at the governors office confirmed that they infact saved motorists from being robbed by the crooks.